Napa Valley delivered another exceptional vintage in 2014. The wines are bright, energetic and focused, with tons of character and pedigree. Even better, the 2014s will be easier to drink young than the 2013s that preceded them. This article focuses on the bottled 2014s, although I tasted many 2015s and some 2016s as well. Two thousand fourteen was the third vintage in a drought cycle. The warm, dry winter caused the vines to awaken very early. When I visited growers in April of that year, they were surprised by what was shaping up to be another generous crop. The vine is a naturally self-regulating plant. In most cases, after a generous harvest or two, the plant responds by setting a lower crop. But that was not the case at all in 2014. Mother Nature gave Napa Valley growers another bountiful harvest. Warm and dry conditions persisted throughout the entire year, but, importantly, there were no heat spikes (as was the case in 2015) or sudden temperature swings like those Napa Valley experienced in 2010. Overall, 2014 saw a benign growing season with an early start and early finish and no real shocks. One of the most interesting aspects to 2014 is that the grapes ripened while maintaining excellent acidity. On August 24, just as harvest was getting started, a violent earthquake shook Napa Valley. The epicenter was American Canyon, far away from most vineyards, but where many wineries store dry goods. The city of Napa was hit hard and aftershocks were felt throughout the valley. A number of homes and other buildings were seriously damaged. Miraculously, there was not a single fatality. If the earthquake had taken place during the day, there would certainly have been a serious loss of life, especially at wineries where barrels are stacked five or six high. A number of wineries sustained damage to their inventory of bottled wines, while others lost wines in barrel, most of it from the 2013 vintage. 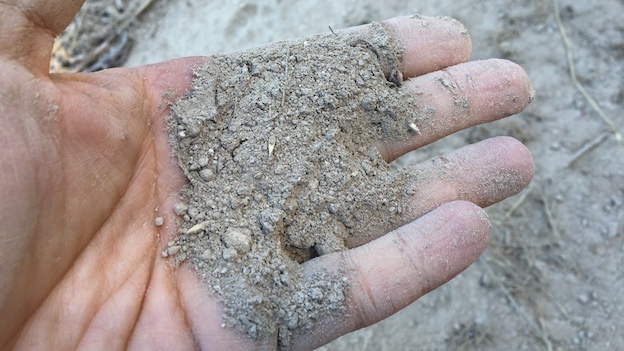 One of the most interesting aspects of the 2014 vintage is that earth movement created by the August earthquake caused dry streams and creeks to run again, which gave the vines in some spots much needed water. A number of producers reported that canopies looked their most vibrant at the end of the growing season, which is a significant anomaly, to say the least. 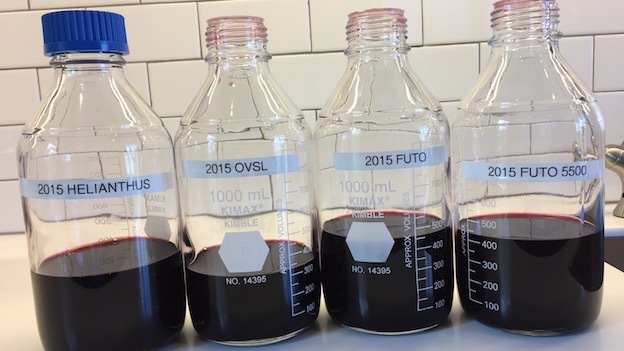 The wines did not extract easily, so many winemakers gave their 2014s more time on the skins than they did in 2013, a year in which extractions were very easy. In general, the 2014s are bright, savory and vibrant, but with distinctly mid-weight structures. Like the 2013s, the 2014s tend towards the darker end of the flavor spectrum, but they don’t have the extract, size and sheer tannic clout of the 2013s. Today, 2014 comes across as a more accessible and friendly version of 2013. There is no question 2014 is a very high quality vintage, and while it does not match the epic quality of 2013, 2014 is without question a more successful and interesting vintage than the massively overhyped 2012 and inconsistent 2015. 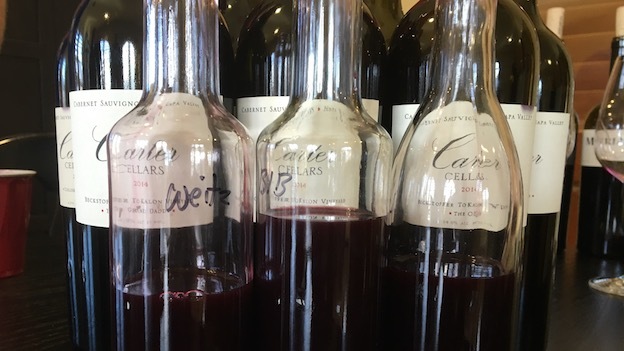 At the best estates there is very little, if any, real qualitative drop off between 2013 and 2014, even if stylistically, the vintages are quite different. Lastly, I noticed many 2014s shut down hard after bottling to an extent I have not seen previously during the six years I have been tasting bottled wines around the same time of year. In other words, many 2014s were even more expressive just before bottling than just after. Readers might want to revisit my initial assessment of the wines, published in June 2015. In addition, we shot quite a bit of video throughout the year. Two thousand fifteen will go down as one of the most interesting vintages in recent history. The drought cycle that started in 2012 continued into 2015, with another warm, dry winter and a very early start to the vegetative cycle. Cool weather in May caused an uneven set, which meant that even within the same plant some bunches ripened at a faster pace than others. Summer was brutally hot, with long stretches of elevated temperatures and numerous heat spikes. “In 2015 we had 26 days over 100 degrees, whereas in a normal year we might see 10-12, including a stretch of five consecutive days with temperatures of 104 degrees,” Lou Kapcsándy told me. It was a similar story at Joseph Phelps. “We had 20 days over 100 degrees. Dehydration was a real issue,” winemaker Ashley Hepworth reported. Some of those spikes came during harvest, adding further complications to an already challenging growing season. Because of the uneven ripening, many producers opted to wait as late as possible to harvest to get all the grapes ripe, with the intent of removing all of the raisins and dehydrated grapes through sorting. Yields are down between 30-40%, mostly because of dehydration. Qualitatively, the wines are variable. The best examples are classic Napa Valley: rich, flamboyant, exotic Cabernets built on texture and volume. Where producers were diligent with sorting, the wines have also retained quite a bit of freshness. As I have written before, 2015 is the vintage many hoped 2012 would be. Despite the presence of a number of thrilling wines at the upper end, readers should not mistake 2015 to be a truly outstanding vintage. All of the roasted, sunburned fruit and unevenly ripened grapes ended up somewhere, and that somewhere is in second and third labels. 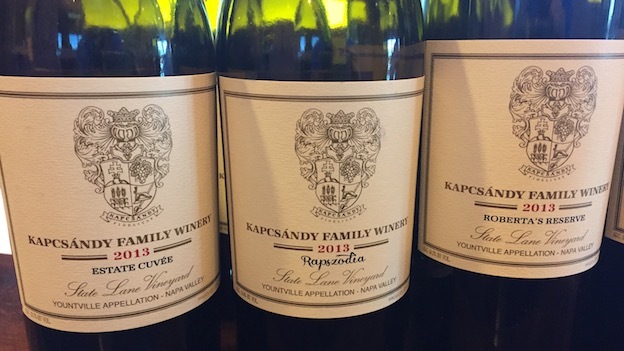 There is a significant drop off in quality between the very best 2015s and the rest of the wines, which is exactly what I thought would be the case when I first tasted the 2015s from barrel this past spring. 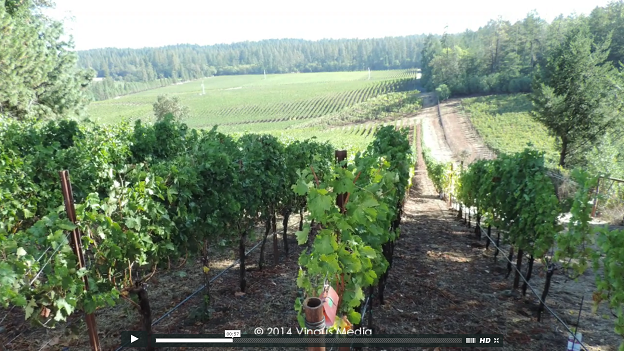 For more perspective, readers may want to revisit some of the video we shot during the harvest. One of the many real consequences of 2015 was a widespread increase in the use of shade cloth that was evident in 2016. In 2016, the growing season got off to a very fast start, despite the rainy winter. As recently as late July, winemakers were predicting harvest to be on track with the freakishly early 2015. But then the weather turned unexpectedly cool during August. That was enough to push harvest back to closer to normal times and also created a very long window for picking. 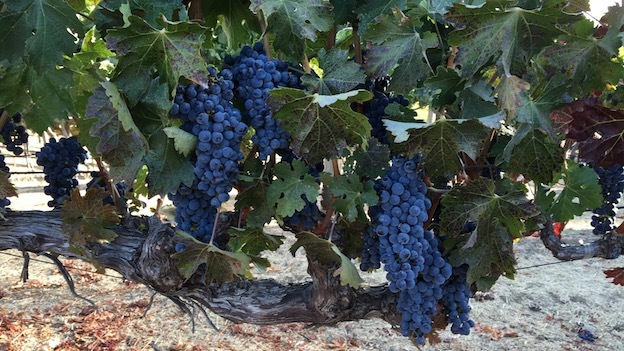 At Screaming Eagle, which is typically one of the first estates to start picking, the Cabernet Sauvignon harvest stretched over nearly five weeks. 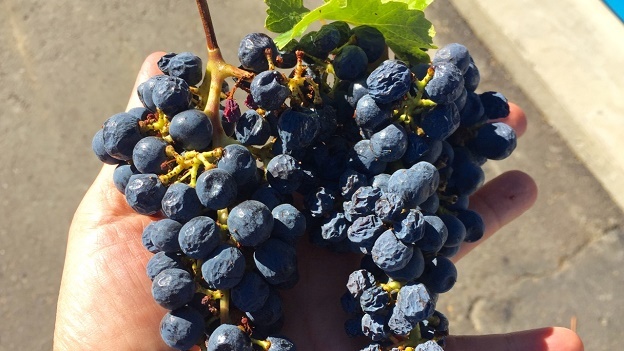 A few late-season rains during harvest caused some estates to take a break from picking. It is hard to generalize on the effect of rains because Napa Valley is such a large and diverse region that ultimately it is the timing of rain in relationship to ripeness that is critical, and that can also vary widely from estate to estate. 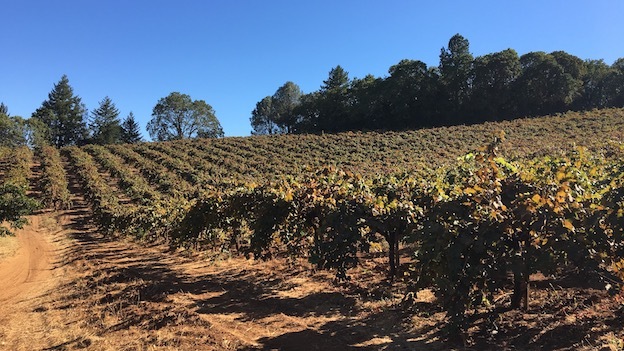 Some estates chose to pick on the earlier side, but some mountain sites that are later to ripen were not picked until mid-October, as was the case at Diamond Creek, where my visit coincided with the last day of harvest. In the weeks leading up to harvest, I saw a few vineyards with generous crops, perhaps an attempt by some growers to recover from the low yields of 2015. A number of producers remarked on higher than expected juice to skin ratios, which means the berries themselves had more juice than normal, and lower than average alcohol conversions, which means the conversion of sugar at harvest (measured in degrees Brix) to alcohol during fermentation was lower than normal. Based on what I have tasted so far, 2016 looks like a year with dark flavors, but not as much depth, structure or tannin as is usually associated with vintages that have a similar flavor profile. Of course, much of the final results will depend on the choices producers make over the next two years and how the wines themselves develop over that time. My first impression is that 2016 is a vintage of medium-bodied depth and concentration, along the lines of 2012, but with a darker profile. I also had a chance to revisit a number of 2013s during my fall trips. Those tastings reinforce what I have always believed: 2013 is an exceptional vintage. Beyond the undisputed greatness of the wines at the top level, what makes 2013 a truly great vintage is the very high level of the mid and lower-tier offerings. It is here that the profound level of 2013 is most striking, and it is the comparison of these wines vis-à-vis the same wines in 2014 and 2015 that confirms 2013’s status as the kind of vintage that comes along perhaps once a generation. In May 2017, Vinous will be four years old. From the outset, I wanted Vinous to be about much more than reviews and scores alone. In 2014, we produced our first vineyard maps. Those interactive, multimedia maps of Italy’s Barolo and Barbaresco regions took us to Google, where we were invited to present our work to a team of Google Maps engineers. Shortly thereafter, Vinous became a Google case study for digital mapping. Our work was featured in a number of television and print media outlets. But those early maps were just the beginning. There was another project that I wanted to tackle. Over lunch at the Google cafeteria, I was asked what was next. The answer was obvious: Napa Valley. It may seem hard to believe, but the vineyards of Napa Valley have never been comprehensively mapped by an independent source. 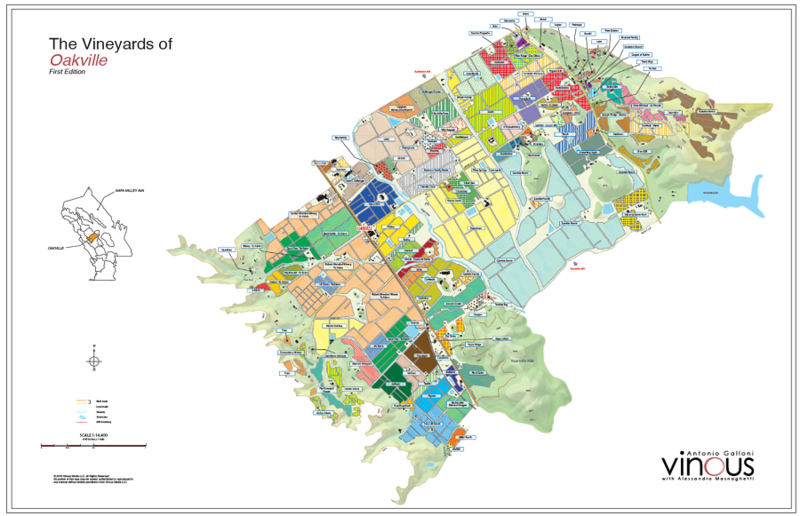 For our Napa Valley maps, I wanted something more than what we had done before. I knew we could do better. In the summer of 2015, Marzia and I traveled to see Alessandro Masnaghetti, the renowned Italian critic and cartographer. A few months later, I met Alessandro in Lake Como, Italy and saw his first drafts of Oakville and Pritchard Hill. We were off to the races. Our own Kelli White joined the maps team shortly thereafter. In 2016, we completed six maps: Oakville, Pritchard Hill, Rutherford, Stags Leap, Howell Mountain and Yountville. Our work continues in 2017 with St. Helena. Readers who want to learn more about the history of Napa Valley’s top vineyard sites as well as get a visual sense of what is where will find plenty of information in Vinous maps. And this is just the start. These are some thoughts on what I liked this year in Napa Valley. Blankiet – Claude and Katherine Blankiet hiring Graeme MacDonald to be their new winemaker is an inspired and forward thinking decision. There are few places in the world that a young winemaker – no matter how talented – gets an opportunity like this one. Bryant – Winemaker Marc Gagnon’s 2014s will go down as some of the most profound, utterly brilliant wines ever made at this stunning Lake Hennessy estate. In their first vintage working together, proprietor Bettina Bryant and Gagnon have raised the quality bar in a meaningful way. 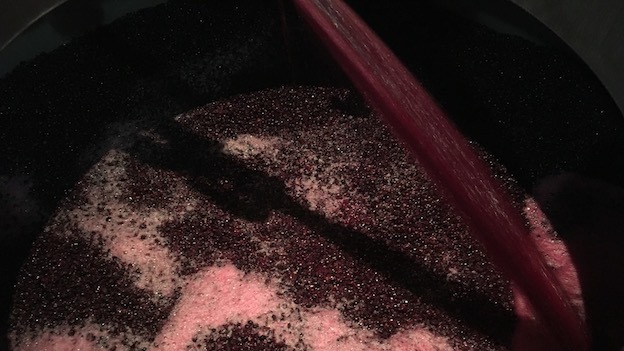 Cabernet Franc in Napa Valley continues to show extraordinary potential as winemakers feature it more prominently in blends. Massimo di Costanzo – A lot of young winemakers talk the talk, but Massimo di Costanzo is one of the few who actually talks the talk and walks the walk, which places him among Napa Valley’s most talented emerging winemakers. Delivering Value – High-quality producers for whom offering a modestly priced wine (by Napa Valley standards) remains a priority. Examples include Dominus (Napanook), Shafer (One Point Five), Blankiet (Prince of Hearts), Dalla Valle (Collina Dalla Valle), Togni (Tanbark Hill) and Bryant (DB4). 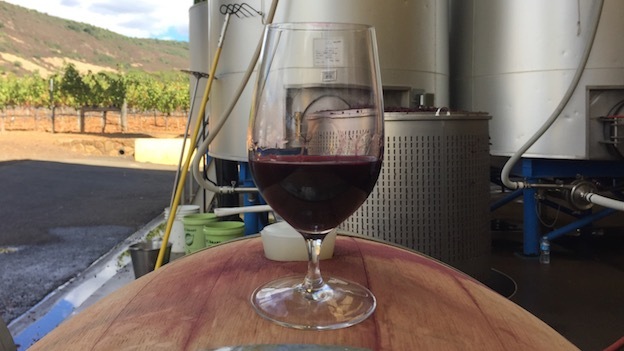 Harvest 2016 – There is nothing more exciting than visiting wineries during harvest. The music is loud, interns buzz around working on little sleep, and the exotic, intoxicating perfume of fermenting grapes fills the air. Tasting very young wines fermenting in vat is a great way to start to form an early view of a vintage and its wines. What could be better? 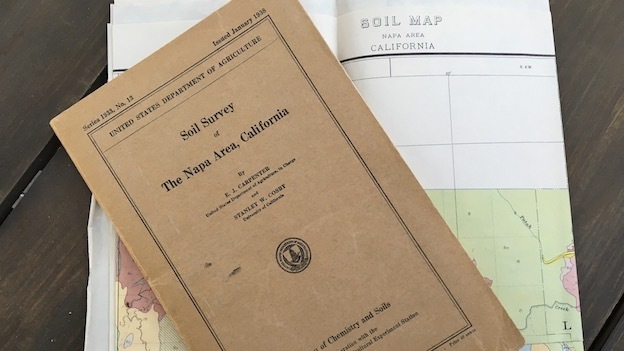 History – To the person who gave me an original copy of the 1938 Napa Soil Survey…Thank you! May-Britt Malbec – Just a few weeks after the unexpected and tragic passing of her husband, Denis, May-Britt Malbec was present, as she always had been, when I stopped by Blankiet to taste the 2014s before bottling. She was so proud to present her late husband’s work and there was no way she was missing the tasting. That is called tenacity. Larry Fairchild’s long-term lease of most of what is presently Montagna is a smart decision to secure an important fruit source for the future. Futo – Winemaker Jason Exposto seems to have quite a bit more leeway than many of his colleagues. Exposto has rewarded proprietor Tom Futo’s trust with a series of stunning wines. 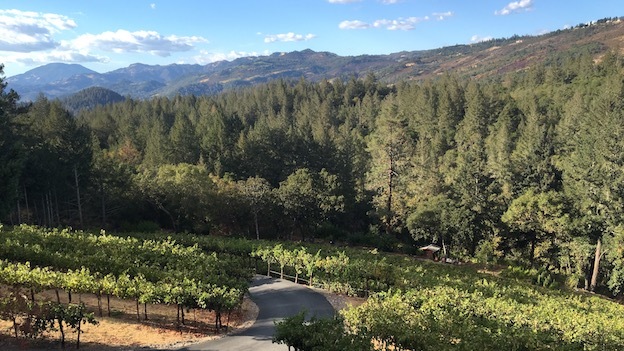 Inglenook – In just a few short years, winemaker Philippe Bascaules restored Inglenook’s image and elevated the estate’s level in a meaningful way. Bascaules is now headed back to Château Margaux, where the opportunity to follow the late Paul Pontallier was probably the job of a lifetime and impossible to turn down. In what is a very unique arrangement, Bascaules will stay on at Inglenook as a consultant, so hopefully he will be able to put a team in place that can continue with the important work that has been done over the last few years. Lou and Louis Kapcsándy taking greater hands-on responsibility following the passing of Denis Malbec. Talented winemakers and consultants abound in Napa Valley, but the ultimate responsibility for quality rests with the owners. Opus One – Look past the futuristic winery building that still looks modern today, 25 years after it was inaugurated, and the somewhat touristy feel to the property. Winemaker Michael Silacci and his team make the single most remarkable high-end Napa Valley Cabernet Sauvignon when one factors in the level of quality that has become the norm here over recent years and a production that tops 25,000 cases. Dan Petroski is doing fabulous work at Larkmead. Petroski is among the young Napa Valley winemakers who have an enormous amount of passion and respect for Napa Valley’s history. Larkmead could not be in better hands. Producers who are proud to show their 2011s. There will be plenty of revisionist history when people come around to tasting the best 2011s. To be sure, it was a difficult and very challenging year. But these are precisely the vintages that separate the wheat from the chaff. Some of the recent 2011s I tasted that are impressive include Spottswoode, Nine Suns and Promontory. I would be thrilled to own any of those wines. Realm’s acquisition of most of the Hartwell property is a bold move to establish an estate vineyard in the face of escalating land and grape prices that place wineries that rely exclusively on purchased fruit at a distinct disadvantage relative to landowners. Diana Snowden-Seysses made her best wines ever at Snowden in 2014. The 2015s are pretty impressive at this stage also. Alfred Tesseron’s purchase of the late Robin Williams’ estate on Mt. Veeder is deeply intriguing. The fruit had previously gone to Robert Craig, who made a very distinctive wine from this site. Although I am sad to see the Robert Craig wine go, I am also intrigued to see what the Tesseron family does in Napa Valley. Long-time Pontet-Canet winemaker Jean-Michel Comme has already begun the conversion to biodynamic farming. Upper Range – This development in the hills above Rutherford is easily one of the most ambitious projects ever undertaken in Napa Valley. Too many wines that taste exactly the same. Napa Valley is home to an extraordinary range of geologies, soils and topographical features that, in turn, play a role in defining the unique microclimates that are found in many regions within the valley. And yet, far too many wines are anonymous. The tearful Saturday morning phone call I received informing me of the tragic car accident that claimed the life of Denis Malbec. Wineries with no track record whatsoever offering their first releases at eye-popping triple digit prices. Yes, I know land and grapes are very expensive in Napa Valley, but quality establishes price, not the other way around. The first wave of high-flying Napa Valley cult wines were, for a time, priced at levels where the average person could afford to taste the wines. By the time early consumers started getting priced out of the market, enough people has tasted the wines for those estates to have established reputations. A new estate that starts out at $250 a bottle has never had that early customer. It’s a high stakes poker game, because at these prices, the market, very rightly, has no patience for anything less than extraordinary quality. And the level of competition among high-end wineries has never been more intense. Aside from a handful or two of estates, even the most established high-end wineries battle every day to sell their wines, while keeping prices high and placing the wines where they want. Wineries that think hiring one of Napa Valley’s top winemaking consultants is the secret to success. A consultant should be exactly that – a consultant. Someone who provides guidance and advice. There is no substitute for in-house talent. Wineries that have the means, scale and profitability to own their own bottling lines, but don’t. This means the final, and most critical, step in finishing a wine, which is getting it into bottle, is controlled by outside technicians. A few years ago, I tasted a wine with a well-known winemaker who could not be 100% sure the wine in the bottle was actually her wine. And if you think I am exaggerating, sadly, I am not. One bottle allocations. Who wants just a single bottle of any wine? (Grand Cru Burgundy excepted). Losing so many important, leading figures in the world of wine. The wines in this article were tasted in September and October 2016, followed by additional tastings in my office in New York. In total, I spent about two months in Napa Valley in 2016. I visited more properties and tasted more wines than ever before, which resulted in a large number of reviews and producer commentaries.